Once again, the unstoppable Catalan team demonstrate their drive and capacity in event organization and Free Software advocacy. Last 20th of November, pursuing the lofty "hey, one install party is not enough" goal and organized by Vicent Cubells and Josep Martínez, the team pulled yet a second Ubuntu Maverick install party. This time round it was in the beautiful city of València, and in an emblematic location as well: the Ca Revolta center - which is currently celebrating its 10th anniversary. Several Ubuntu installations were performed throughout the day, either in parallel to Windows or wiping it out completely at the user's request. Technical support was also offered to anyone who came by, which in some cases required a big dose of genius and willingness to be confronted with -back in the day- state of the art technology, such as psychedelic laptop screens and the likes. 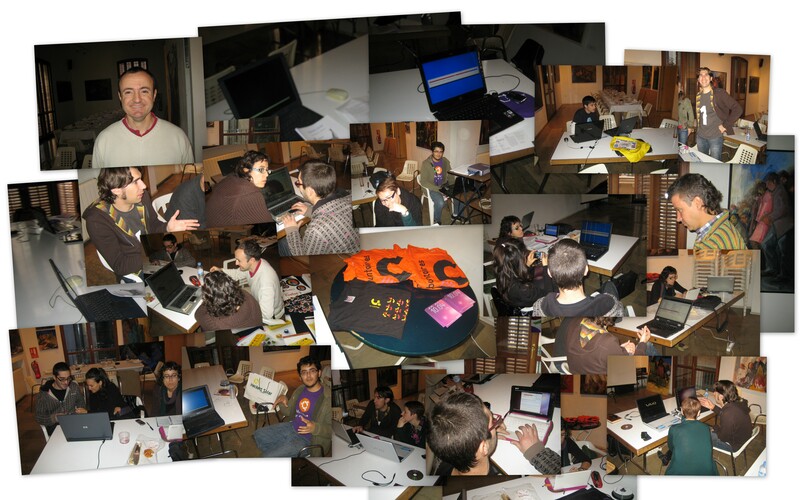 All in all, a fantastic event: everyone went back home satisfied, enjoying the new freedom of their shiny Ubuntu systems. Big thanks to everyone who participated, and see you at the next one soon! You can also read this post in Catalan.